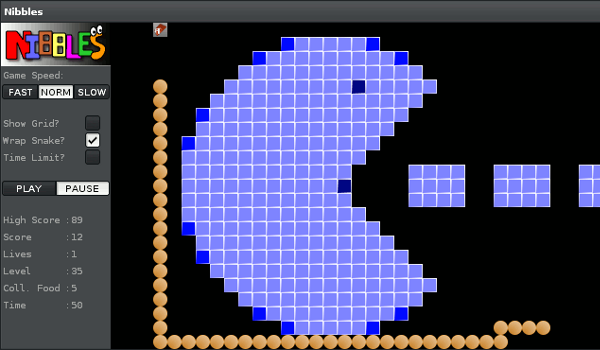 A Lua implementation of the game Nibbles, also known as Snake. Use the arrow keys to control a snake, eat food, and try not to crash into the walls or into yourself. Inserts "Nibbles..." into the Tools menu.